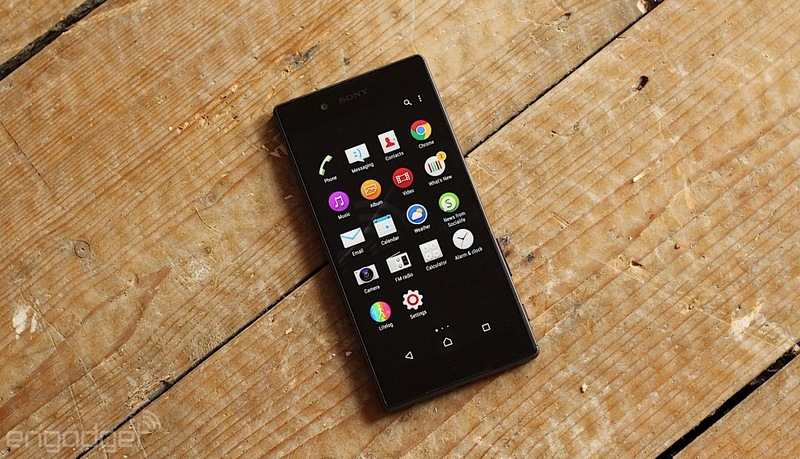 At the start of 2015, Sony effectively gave up on making smartphones in the hope of recapturing former glories. Its mobile division now loses the company nearly $2 million per day even after being slimmed down to a fraction of its former size. The few devices that it launches each year are merely placeholders; products designed to keep the company's hand in just in case the next next big thing requires mobile expertise. It's an unenviable position for Sony's employees, knowing that they're effectively operating in a vacuum. When faced with that truth, there are only three options available to them: give up, throw every mad idea at the wall, or build a grand valediction and go out on a high. This is the starting point from which we will begin our examination of the mid-range Xperia Z5. 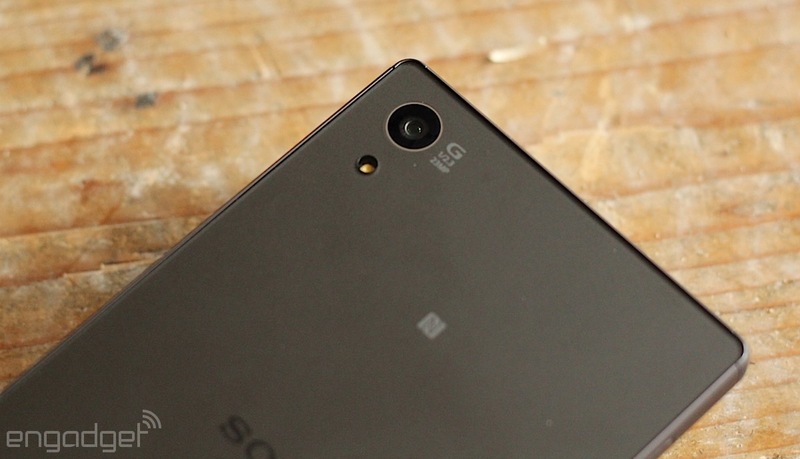 Sony’s Xperia Z5 is a mobile photographer's dream with a breathtaking camera and great display. However, you’re likely to be turned offby the underwhelming battery life. It’s a respectable choice, but other Android handsetsare even more compelling. 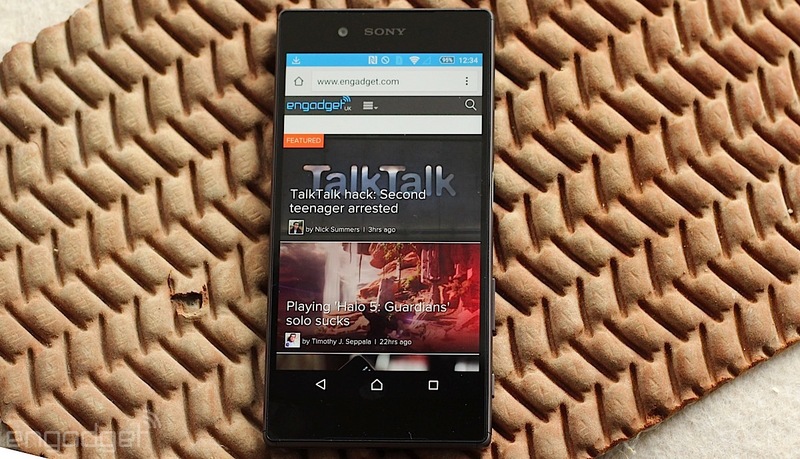 Be the first to review the Xperia Z5? 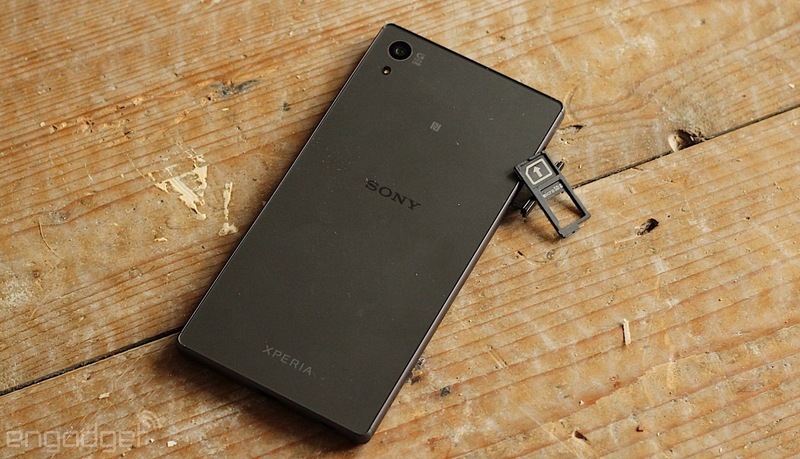 Depending on how you count, this is either the fifth, eighth or tenth handset to bear the "Xperia Z" name. They're all pretty similar-looking on account of the firm's Omnibalance design language that emphasizes symmetry and inoffensiveness, so not much changes year over year. Whereas previous generations of the device featured a prominent sleep/wake button on the right-hand side, this one adopts a flatter, wider alternative. That's because the button now doubles as a fingerprint sensor. It's a uniquely Sony thing to do, since most other companies would simply have either discarded the feature or added it somewhere more convenient. HTC, Samsung and Apple have all placed fingerprint sensors on the home button, while LG and others have placed it on the underside of the device. That wouldn't have been good enough for Sony, however, and so it had to make it work so that it fitted in with your natural grip. It's an impressive amount of effort that will probably go unnoticed by a large number of users. Another thing that Sony has clearly put plenty of effort into is ensuring that the 5.2-inch device feels a lot smaller than it actually is. At first blush, you might think that it's all hard angles and straight lines, but the sides of the device have all been rounded-off to ensure it doesn't dig into the fleshy, pain-sensitive parts of your palm. It all adds up to a piece of kit that's comfortable to hold for prolonged periods of time, although the trade-off here is that the phone's smooth glass back is pretty frictionless -- so there's that lingering risk that it could slide out of your greasy paw. As with most of the company's devices, the Xperia Z5 is water and dust proof with an Ingress Protection rating of 65/68. In English, that means that it'll theoretically work in the harshest of sandstorms and can withstand immersion in shallow water for a short period if time. Of course, that only applies if the port cap that hides the SIM and microSD card trays is sealed, otherwise there'll be no comeback if the device breaks. Meanwhile, the micro-USB port that lives on the bottom of the device is "capless" and so the company advises that, should the worst happen, you let the phone dry out before attempting a recharge. To finish off our hardware tour, the combined SIM and microSD tray is housed on the left side of the device, while the micro-USB port sits on the bottom. 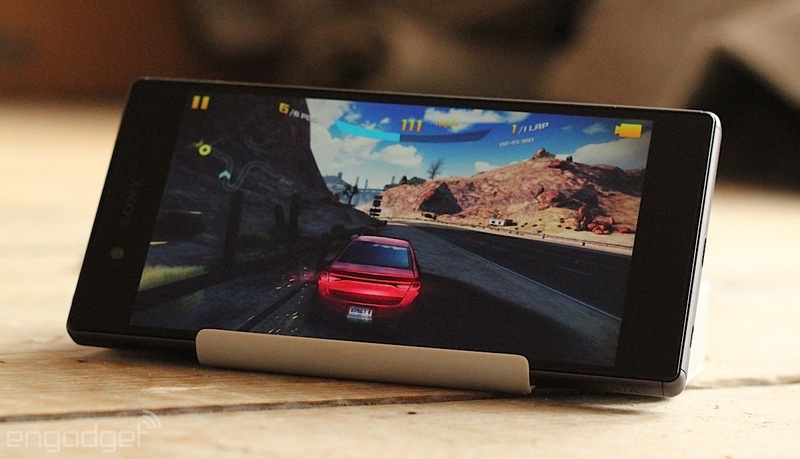 Remember the dock port that popped up on previous generations of Xperia Zs? That's gone too, making the whole device look less fussy and cluttered. Up top, you'll find the usual 3.5mm headphone jack, while down on the right you'll find the power sleep/wake fingerprint sensor, volume rocker and the dedicated camera button. The only features on the front beside that display is a super-subtle Sony logo and an adjacent 5-megapixel selfie cam, while the primary lens is in its usual place in the top left corner of the back. Were you aware that Sony produced HDTVs and high-definition audio equipment? Because, come on, you should be; it's 2015, guys. As such, you'd expect this 5.2-inch 1,920 x 1,080 Triluminos LCD display to be one of the finest mobile screens on the market. The short answer, is that yes, it is, with faithful color reproduction, beautiful black levels and decent viewing angles that'll enable the person next to you on the plane to at least have a decent view of what you're watching. As for sound, Sony has included the usual forward-facing stereo speakers at the top and bottom of the device that do a similar job as HTC's BoomSound setup. At full volume, audio is crisp, clear and just loud enough to enable you to hear it from across the room, but I wish it was louder and had stronger bass. Sony disagrees with me, of course, opting instead to bundle in its own high-res audio converter that trades loudness for clarity. That becomes more obvious when you put on a pair of half-decent headphones, since the phone can even make your average YouTube clip sound special. Sony's famous for dragging its feet when it comes to getting users onto the latest and greatest version of Android. We may be celebrating the arrival of Marshmallow, but the Z5 is still lagging behind with Lollipop, although Sony is promising an update at some point. Sony has done its usual job of almost, but not quite, leaving Android alone, albeit with the usual additional apps and overlays that remind you that the company has video and audio stores it'd like you to buy from. I won't bore you with discussions of Lollipop because, at this point, it's a year old and Sony's touches aren't noteworthy enough to talk about in detail. The one thing worth discussing is how the power button can pull double-duty as a fingerprint scanner. Setting this up was relatively easy. The app will repeatedly ask you to place your finger on the pad until it's developed a comprehensive picture of your print. If there's an issue with that, it's because, unlike when you shove your finger on a home button, you're not really thinking about where you drop your digit in its natural hold stance. Unfortunately, that means it fails to unlock the phone about a third of the time until you re-adjust your fingers. Sony makes cameras for itself, components for firms like Nikon and Fujifilm, and imaging sensors for devices like the iPhone. It should come as no surprise that the Z5's 1/2.3-inch Exmor RS 23-megapixel camera is this device's standout feature. Behind the science and jargon is the claim that the phone's autofocus will be able to snap images into clarity within 0.03 seconds. In the company's promo materials, much was made of the phone being fast enough to catch your baby's first word or steps. In reality, the only thing that lets the camera down is the app's slow load time, which would delay you just long enough to miss being able to capture junior's first words. As a weak photographer, I often trust my smartphone to produce far better images than I'm capable of achieving with hours of fiddling in the settings. Thankfully, the Z5 can either take you in hand and do the legwork for you, or give you plenty of additional control in the manual mode. If you're a smarter shooter than me, then you'll be able to pick and choose between various scene options, as well as tweaking the white balance and exposure compensation. As for the pictures themselves, they're some of the best you'll find on a smartphone and whatever I could throw at this lens, it was able to deal with. Sure, on a bright, clear day, the shots that I took have beautiful, subtle colors and sumptuous amounts of detail. On a walk through the graffiti-covered streets of East London, the Z5 was able to pluck out plenty of neat little details and even that 8x digital zoom produces shots you'd be happy to upload to Flickr. It's the phone's night time performance that's more special, and while the images are still plenty noisy, it's still capable of capturing a lot of information. Take some of those shots of the night-time sky where you can actually see definition in the cloud and the different shades in the night. Even in a dark auditorium with only minimal edge lighting, the phone was able to produce images that may even beat the classic Nokia 1020. In fact, if Sony produces another QX10-style portable lens camera, it could do worse than just shove the Z5's sensor into a device the size of something like the Narrative Clip. I know I'd struggle not to buy one. I've never been a huge fan of benchmarks, since an artificial number can only hint at how your device will behave in the real world. A lot of the time it's a false measure, since how a phone works when grinding fake pixels isn't at all similar to making sure that Instagram refreshes properly. That prelude aside, here are the boring bits: The Xperia Z5 packs an octa-core Snapdragon 810 chip paired with Adreno 430 graphics and 3GB of RAM, putting on the same level as the Nexus 6P. If you won't be satisfied until you've seen some hard numbers, the benchmarks are listed below. For everyone else, rest assured, this phone is pretty damn fast. Each app loads within a second, there's no slowdown or jerkiness and you won't be left grunting in annoyance at the device, no matter what you're doing with it. If the benchmark for taxing apps is to play a demanding game like Asphalt 8 with the graphics turned way up, then the fact that the Z5 rarely dropped frames should be encouraging. The only thing that's worth mentioning is that the device gets appreciably warm when you run a performance-heavy app for a prolonged period of time. 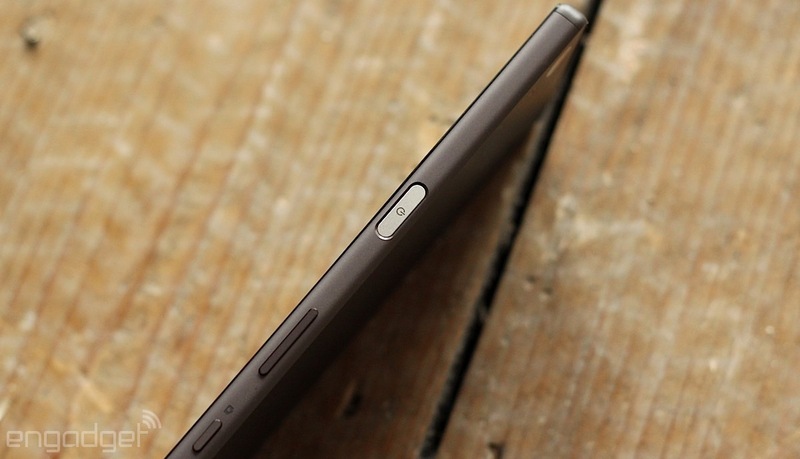 Sony's Xperia Z5 comes with a 2,900mAh battery and a promise that the device will last up to two days on a charge. That's certainly the case if you're only using it casually, although playing some of those demanding mobile games will reduce its lifespan by quite a measure. In day-to-day use, I got down to 40-or-so percent by bedtime with a usage pattern I'll call "Engadget Editor at Home." Our standard rundown test involves playing an HD video on repeat with the brightness set to 50 percent; under those conditions, the device lasted seven hours and 19 minutes. If I'm honest, that's a little less than I had expected from a battery of this size. For comparison, Samsung's Galaxy S6 managed to last for 11 hours under the same conditions on a 2,550mAh cell. Sony may want to sell its devices through a US carrier, but can't seem to get the networks excited enough to try. The launch of the Verizon-exclusive Z4v was a will-they, won't-they until the moment the pair ultimately decided to cancel the launch, not long before the arrival of the Z5. There's no guarantee that the Z5 will ever reach the US, but it's currently on sale, SIM-free in the UK for £549 ($843). That figure includes the country's 20 percent sales tax, so we'd assume that if it ever made the trip across the pond, it would cost somewhere in the region of $500. That, at least, is the best guess we can make in order to suggest to you some comparable devices. For that sort of cash, you could pick up the Nexus 6P, which has the same Snapdragon 810 chip, Adreno 430 graphics and 3GB of RAM. The 32GB edition is priced at $499, putting it roughly on par with the Z5, at least in our guesswork. The key differences between the two is that the 6P has a bigger display and battery, but arguably a weaker camera. For $429 you could pick up the Nexus 5X, which has reduced internals but a camera that we described in our review as "pleasantly surprising." If you're reading this before the end of November 7th, you could also do worse than picking up a 32GB HTC A9 for $399. It's less powerful but also a pretty sweet handset for a lot less cash, which is something. 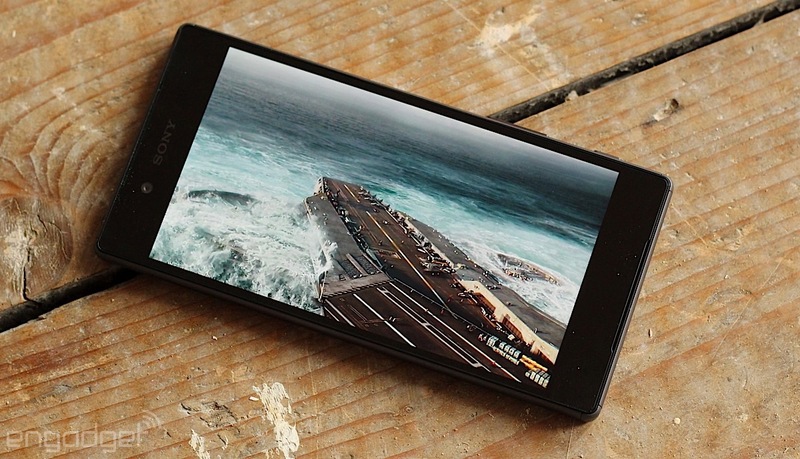 In all of the areas where Sony has a long and storied history of producing products, the Xperia Z5 is able to show its strengths. The camera has a fair claim to being one of the finest mobile lenses on the market today, and there's already a rumor that Samsung wants it for the next Galaxy. Same for the display, which I'd quite happily stare into for hours at a time, not to mention the performance, which stands shoulder-to-shoulder with its Android contemporaries. But it's in those areas where Sony has less experience that things become problematic, like the battery life which can only be described as lackluster. If you judge your phone's longevity on how long it's likely to last during a long-haul flight, then the Xperia Z5 will barely get you from London to New York without a spare battery. Same too for the speakers, which aren't powerful enough for you to use your phone as a portable audio player without headphones. The same goes for software, and it's ludicrous that Sony would lag behind the curve here, considering Android M has been publicly known for months now. Even if the company was totally isolated from Google and wasn't given a heads-up beforehand, it's still had since June to get the latest version working on the Z5. No, software development isn't as simple as just installing a ROM onto your phone, but Sony can't claim to be an amateur here. I guess it boils down to the fact that Sony is an engineering firm, and that engineering-led approach means that the Xperia Z5 is a beautifully constructed piece of hardware. The downside to that is that the device lacks any sense of personality, and that puts it behind some of its more popular rivals. It's certainly a good phone, but I'd struggle to say that it's a great one.